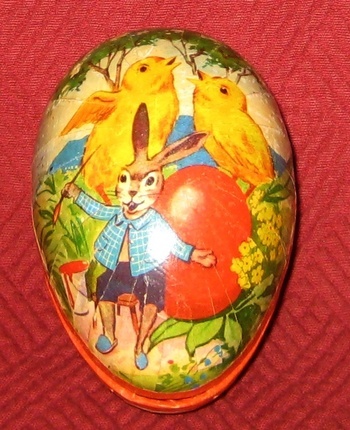 In Advertising > Easter Collectibles > Show & Tell. 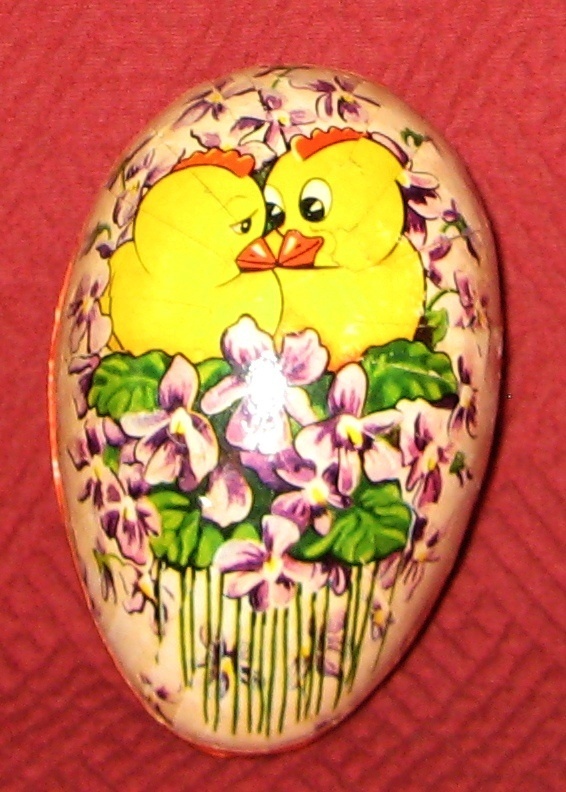 And here is the second of my two German made Easter egg candy containers. 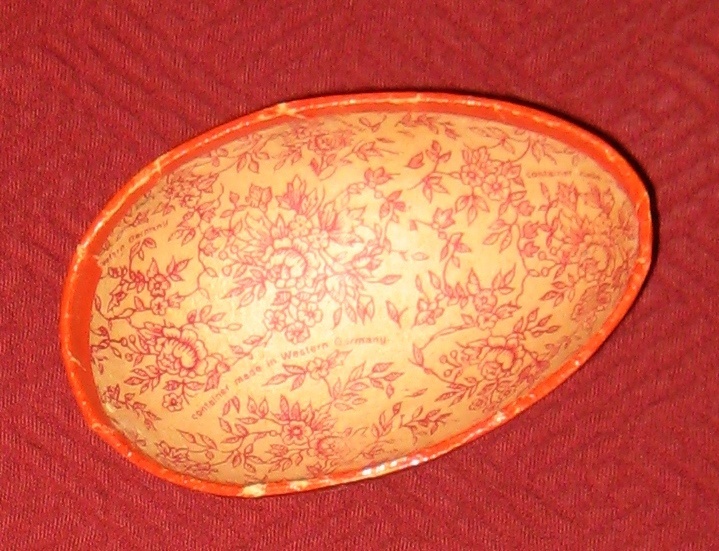 This too is papier-mâché and was also made in Western Germany. Unlike the other Easter egg I own, which has the same scene one both sides, this one has a different scene on each side. 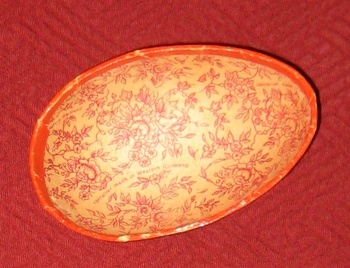 It's much smaller than my other and measures only 3 1/2" long and 8" in diameter. This would date somewhere between 1949 and 1953. Thanks fortapache for the Western Germany info!! Thanks so very much for stopping in!! Yep, that would have been me as well:) I love the vintage artwork on these old Easter candy containers. Thank you so much for the love!!!! Western Germany lasted for a short time before it became West Germany. That would be 1949-1953 and you can take that to the bank. Thanks fortapache!! And thanks very much for the cool factoid!! Thank you Phil!! 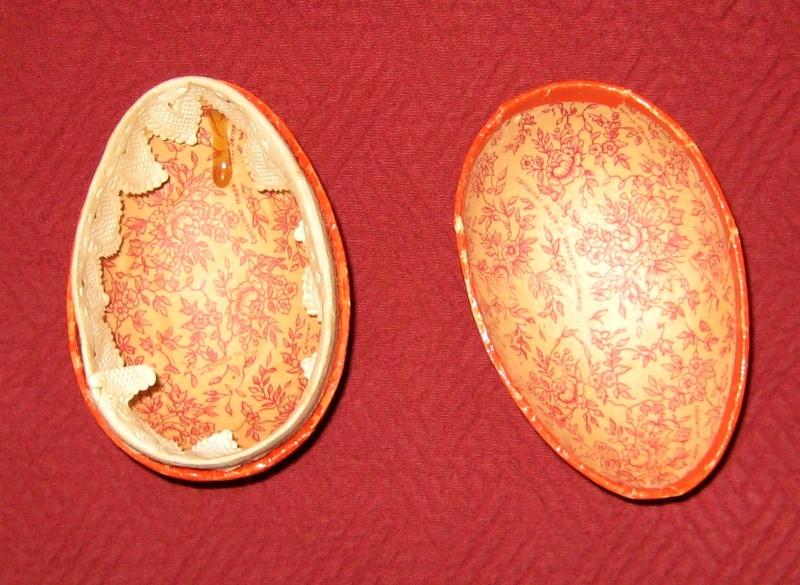 I love the artwork on both of these eggs. Such delightful scenes on your eggs !! Thank you Ken!! Glad you enjoy seeing these. Thank you Mani for the love!! Thank you Karen for the Eggcellent comment!! for the love and the comments!!!! Thanks Penny!! I especially love the Harrison Cady illustrations. Thank you aura for the love and for stopping by!!! Thank you SEAN for the love and for stopping by!!! !